For the second part of this series I thought it would be fun to do a video so that you can see my screen as I import my photos into Lightroom. I know a lot of people get confused at this stage of Lightroom. This video shows where I’m importing from and where I’m importing to. If you are considering making the move to Lightroom I can highly recommend taking Lesa Snider’s Course on Creative Live : Lightroom Essentials. Lesa has really great way of explaining complicated concepts in an easy to understand manner and I love her relaxed, easy going style of teaching. Like all Creative Live courses, this one is broken down into easily manageable chunks and clearly takes your through the program covering all the bases in a fun, practical way. And if you don’t gel well with Lesa’s style there are lots of other awesome Lightroom courses available on Creative Live to suit every skill level. You’ll find yourself, as I do, referring back to them often. There will be one more part in this series coming soon so start getting organized! Last year I read Marie Kondo’s best seller, “The Life Changing Magic of Tidying Up”, and although I still battle the clutter everyday, its basic principles has helped me to control the “stuff” in my house. 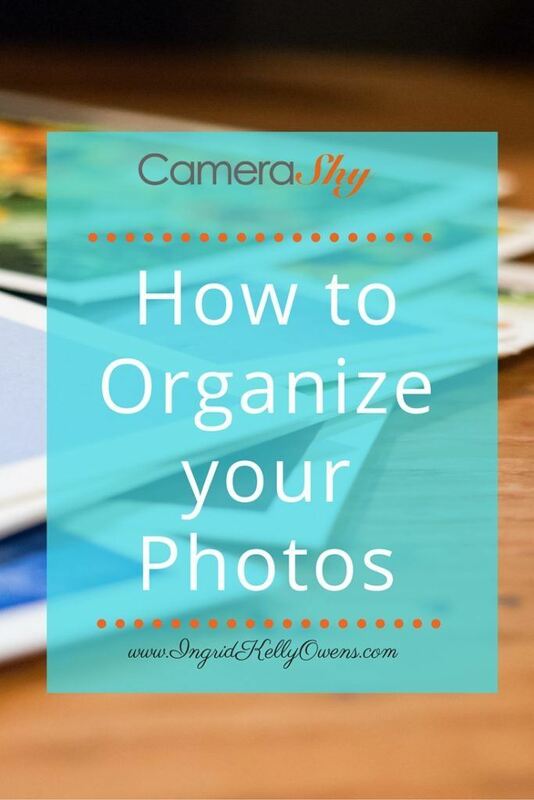 Where I do suffer from enormous amounts of “clutter” and disorganization though, is in my digital life, most glaringly, in my photo organization. I have photos EVERYWHERE and I don’t mean beautifully printed out, matted and framed! This is despite having Adobe Lightroom and the know-how to sort this issue out. So I have decided that this summer is the summer that I’m finally going to organize pictures, videos and all things digital and I’m going to document it all here on the blog so hopefully it can help someone who is suffering from the same problem. As you might know, I am a photography educator. I teach people how to use their cameras, photography basics including Adobe Lightroom and how to organize their pictures. Why then are mine such a mess? Its not for lack of knowledge of how to do it. I believe its more that my home is completely overstuffed with photos everywhere I turn. They are on my iPad, on my Phone, in text messages, emails, on hard drives, flash drives, and on a whole other PC that I no longer use! And to make matters worse, every day I add to this crazy pile. Some day my kiddos are going to look for a photo of themselves aged 3 and I won’t be able to find one and believe me, its not because I haven’t taken any… This makes me very sad so enough of the craziness! I realize we are all starting at different points in this process so before you start moving things around, give a little thought to your current situation. What system if any you currently use? Do you want to stick with it or develop a new system? 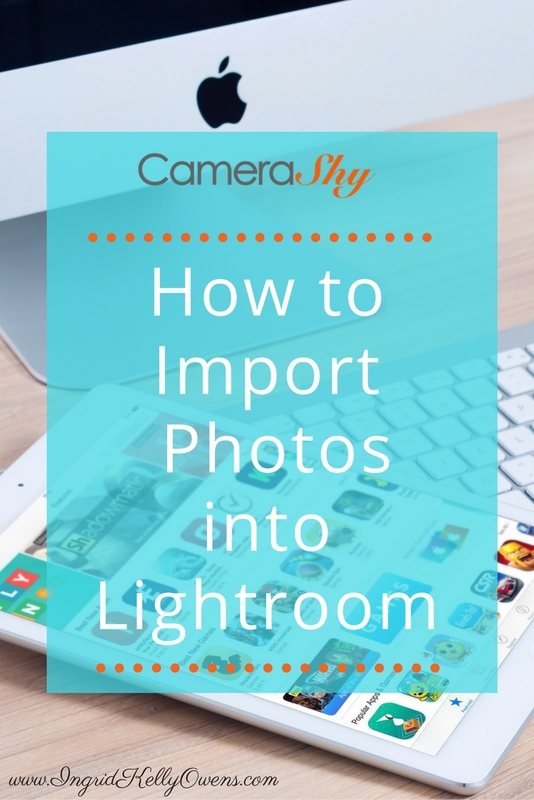 Perhaps most of your photos are already in Lightroom and its the others that you need to tackle. This is the case for me. Give some thought to your current situation and how you could improve upon it. Think about the end goal of all that picture taking. At some point I’m sure you’ll want to retrieve your beautiful images or perhaps it might be someone else doing the searching. Will they be able to understand your system and find what they are looking for? I can hands down say the Adobe Lightroom is the powerhouse when it comes to organizing pictures and photo management. If you are not already invested in a system that you are happy with then you can purchase Adobe Lightroom 6 outright or you can subscribe to Adobe Creative Cloud which includes both Photoshop and Lightroom. You will also need a place to store all of your photos. In my opinion it is better to first have anything in one place and then back up from there and my “one place” of choice is a 3 TB External Hard drive. I purchased this one from Amazon but do your research to see what’s a good fit for the size of your photo library and your budget. Ultimately you will have a back up of all your images, but as of now, this is your single place for all your photos for $9.99 per month. Next, I’m going to do a search on my laptop, my Old PC, my iPad, iPhone and a few other random drives I have lying around. If you are joining me on this quest, then you might also want to check out old CDs, old Phones and flash drives. I’m pretty confident all my other phones were at one point put onto my computer, so I’m not too worried about mine. So I’ve created a folder on my external hard drive called “PHOTOS TO BE ORGANIZED.” The next step is to copy everything that is currently all over the place into sub-folders within this folder. If your photos are already in folders, keep this folder structure when you copy your images over. If they are not, then just create sub-folders to represent each device or starting folder and label appropriately. You can drag and drop your images onto this folder or simply “copy” and “paste” each folder individually. So this process is going to take a little time, but I cannot stress enough the importance of gathering everything in one place. In my next post, we’ll discuss importing the images into Lightroom in such a way that future retrieval will be a piece of cake. Step 1: Think about your current situation and how you need to improve of that. Step 2: Purchase a dedicated external hard drive or decide on the single place to gather all your photos on. Step 3: Gather all of your devices with images on them. Download the images into sub-folders within the PHOTOS TO BE ORGANIZED folder on your hard drive. Do not delete them off these devices yet until they have been further backed up. Would you like to join me in organizing your pictures? If so sign up below to get the next blog post delivered to your inbox and get a copy of my CameraShy Gear Guide as well. DISCOVER THE GEAR YOU NEED NOW! I’d love to know your biggest challenge with all of this so let me know in the comments. An important element of improving as a photographer is learning about composition. Composition is how we put together and arrange things in a photo to make it look well balanced and artful. There are tried and tested ways of arranging the elements in a photograph to look “pleasing” to the eye and they have been used in art for centuries. Sometimes nature does this composition for us and all we have to do is point the camera in the right direction and click, but mostly we have to work a little at it to make our photos look the best they can be. 1.What do I want the FOCAL POINT of the image to be? The Focal Point of your image is usually the most important thing in the frame. Its that end place that you want the viewer’s eye to rest on when they are looking at your final photo an it is usually the sharpest thing in your frame. 2. WHEREABOUTS do I want to place the Focal Point in the FRAME? Evidence suggests that placing your focal point bang slap in the middle of your frame is not a good look. One of the most widely known “rules” of photographic composition is the Rule of Thirds. the Rule of Thirds is where you think of your frame being divided into a tic-tac-toe grid. The rule suggests you should place your points of interest (including your focal point) where the gridlines intersect. A good exercise is to go through your image library and see how you could re-crop your photos with the Rule of Thirds in mind to improve them. 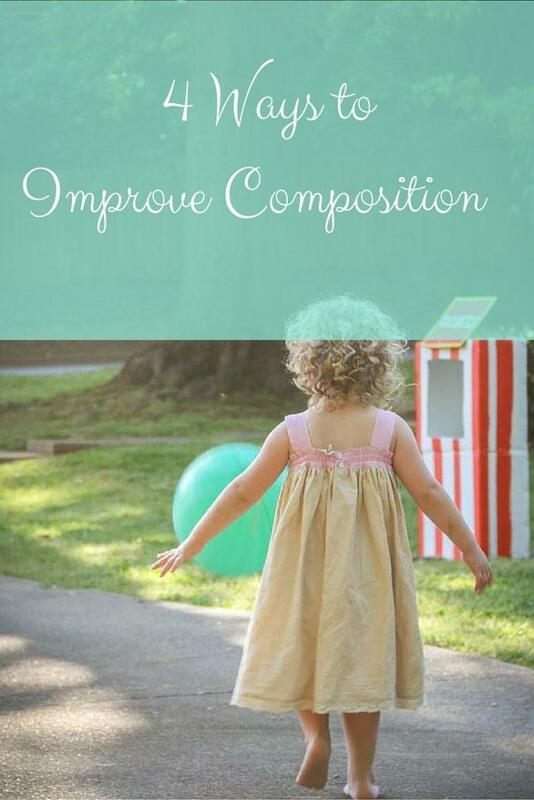 There are many other composition “rules” and we cover each of these in depth each month in my Take 52 PLUS membership group. Another basic one is the concept of Balance. There are many types of balance in an image one of which is when an image just ‘feels” well balanced. This could be because the visual weight of each side of the image is in check or even everything is perfectly symmetrical. Think about what might throw an image off balance for you. Perspective is also something that can completely change the composition of your image. Taking time to consider your point of view, your choice of lens and you choice of focal distance can help you to create improved compositions. 3. How am I going to direct attention to my Focal Point? You want to give as many clues as possible to the most important part of your image and there are many various composition techniques for achieving this. Some of the more basic things you can think about is using Leading Lines which draw your viewers eye into your image, or using a natural frame to frame your shot. Bright highlights as they will draw the viewer’s eye towards them and shadows will generally lead the eye away from an area so be mindful about where these appear in your image. This last point is probably the one that will make the biggest difference to your photos. If something doesn’t add to the story that you are trying to tell in your image, then leave it out of the shot. Use your zoom to crop in nice and tight if your main subject is a person. Leave no question about what the main focal point of your image is. Sometimes, you need supporting information in your frame to add to the story. If this is the case, then by all means, leave it in. It’s all your call. But if something makes it into the frame, there should be a good reason for it being there! If you would like to delve deeper into COMPOSITION theory and technique I’d love to have you join us in the Take 52 PLUS group. Its an awesome way to step up your photography game with directed monthly assignments and peer feedback from a supportive community. Click here to find out all about this super fun monthly membership. And if you are thinking, how on earth am I going to remember all of this stuff when it comes to taking a photo, sign up below to get your free Cheat Sheet on Composition! One of the best ways to improve any skill or craft is by consistent, regular practice. We could all think ourselves the best painter in the world if all we ever did was read about how to do it – but putting the brush to canvas is another matter entirely. So it is with photography. It’s quite possible to think that you’ve got this photography thing down,only to realize when you are inspired to shoot, your Apertures and your ISOs are all in a heap! The secret to getting better at photography is consistent, deliberate, regular practice. The secret to getting better at photography is consistent, deliberate and regular practice. A great way to hone your skills is to do a weekly assignment in the form of a Weekly Photography Challenge. This is similar to Project 365 that you might have already heard of but a little less intense. The idea is that there is one theme per week which you use as your inspiration to go out and shoot. Depending on the challenge, the theme may be quite vague and open to creative interpretation or quite specific – perhaps a particular subject or technical skill. Being to told what to do takes away some of the issues you might have surrounding what to shoot and give you purpose to your practice. But the other really nice part of participating in a weekly photo challenge is that you are not doing it alone. The camaraderie and friendships that develop in these groups is phenomenal and they provide a wonderful learning ground for people new to photography. If you think this might be something that you would be interested in, I’ve put together some of my top tips below, to help you succeed with a weekly photo challenge like the CameraShy Take 52 Challenge. If your love is food, perhaps you’d love a food specific group. If you goal is to become more professional, you might consider a group with a stricter critique protocol. Facebook is a great place to begin your search, as of course is Google and Flickr is still holding its own. 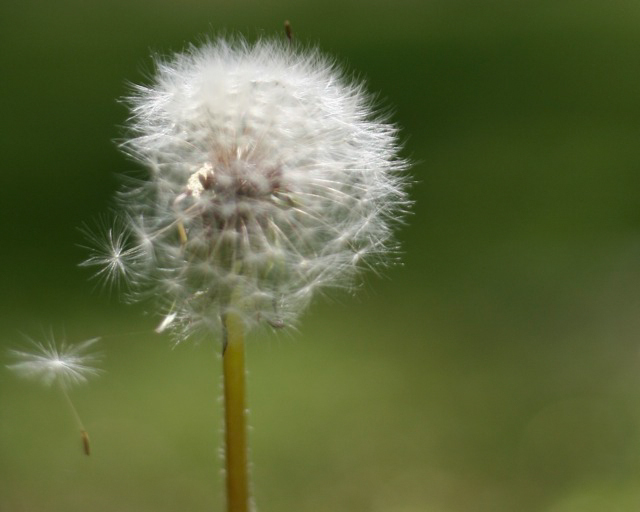 If you like my style of teaching, Join The Camerashy Take 52 Challenge. 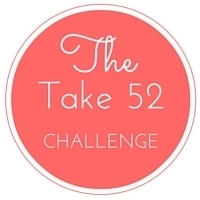 Sign up to the Take 52 Challenge! Receive access to the private Facebook Group and get the prompts delivered to your inbox each Monday! When you first join a group take 5 minutes to read the admin’s rules about how and when to post. There is nothing more frustrating than a new participant ‘spamming’ the group with tons of photos of their aforementioned cat which have nothing to do with the theme. Read the rules, ask questions if something isn’t clear and introduce yourself to your new group of friends. When the theme is released each week, remember that it is not a competition to be the first to submit. The idea of being a participant is to improve your work – adding that amazing shot you took of the Tetons 3 years ago will do nothing to improve your skills only perhaps boost your ego for 5 minutes. Take a minute to let the theme sink in with you and think about it before you shoot. Initially you may draw a complete blank but you’ll be amazed how your brain works and when you least expect it, an idea will present itself to you. 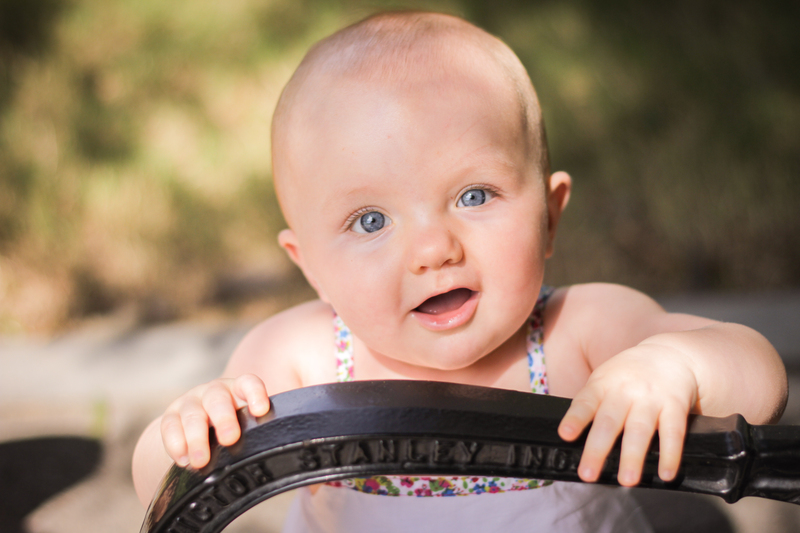 When you decide to shoot your subject give a little thought to how you are going to compose your shot. Try several different ways to approach the same subject – change your aspect, the time of day, lens and of course your camera settings. Edit and refine your image. This is sometimes one of the hardest parts of an assignment i.e. deciding which image you are going to present. It’s tough trying to figure out what your best work is and quite often you’ll feel like you could have done so much better and quite often you are right, but just go on and submit. Waiting on perfection can be the devastation of many artists. Share your best efforts and keep looking forward – there’s always next week! Share your camera settings which can be found in the exif data of your image and more importantly, share your thought process too. This will help other people learn from your work and help you to clarify what your intentions were with the image. Be an active contributor to the group both in terms of what you submit and by helping others, answering questions and giving feedback on others work. It’s usually not a requirement to submit EVERY single week – at least I do not keep track of these things in Take 52 – so don’t be put off if your snowed in one week or you have a sick kid and cannot get out to shoot. It’s usually ok to play catch up or just to jump in again when you are ready. If critiquing each other’s work is part of the challenge, remember to do it kindly and constructively. First read the rules which deal with critique and comments. Some people may not be open to critique at all but it’s a very necessary part of the process both for the “critiquer” and critiqued. In my group we follow this protocol: Say something you like about the image, say something you’d change about the image and end with something positive. It is as beneficial for the commenter as much as the critiqued party when constructive feedback is given. Receive the critique openly and in the spirit which it was given. There is always room for improvement and its good to hear how others would approach the same shot. 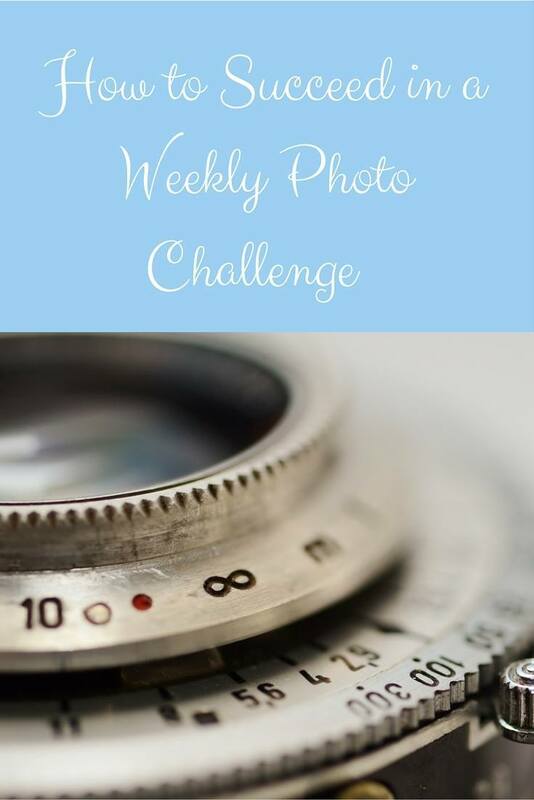 Taking part in a weekly challenge really is a terrific way to improve your photography skills, get inspired by other people’s work and meet some awesome people. When you actively shoot every week you will be amazed at the portfolio of work you can begin to build and you will see the improvement on your work in leaps and bounds! It’s not too late to join the CameraShy Take 52 Challenge! Just click here to sign up and jump in where you are or play catch up if you like. Is it too early to talk about Christmas? Nah – I’m going to run with it! It is November after all and Santa surely wants to get a little start on all those Christmas lists! So is there a new camera on your Christmas list this year? I know many of my students have been really trying hard to be good girls all year so that hubby or maybe Santa will pop something special in their stocking. A new 5D Mark iii perhaps? That nifty 50mm f/1.4 you’ve had in in your Amazon wish list for months? If you are leaving it up to hubby to decided you might be in for a sad face on Christmas morning. The smart snap-happy lady might want to give him a few pointers in the right direction. But what if you are even struggling to figure out what you need next? Let me help you by outlining some of the main issues I see beginning photographers face. 1. Is your body up to date? No – it doesn’t count if you go to a Body Sculpt class at the Y every Friday morning! Cameras have changed enormously in the last 10 years and if you are still struggling along with a tiny LCD screen and hard to read menu then maybe its time for an upgrade. Features such a WiFi, touch screens and large LCD screen have become standard and you will find such an amazing change in the quality between a new T6i and the Rebel XS not only in picture quality but in ease of use. Perhaps you are now happily shooting in Manual Mode and love the flexibility that it offers but you hate the fact that you have to contort your fingers in award positions just to change the Aperture. If it’s like a mini game of twister each time you take a shot, its time to level up! The mid-range DSLRS all have a second command wheel at the back which makes control exposure in manual mode a breeze. Check out the Canon 70D and the Nikon D5300 for this great feature. 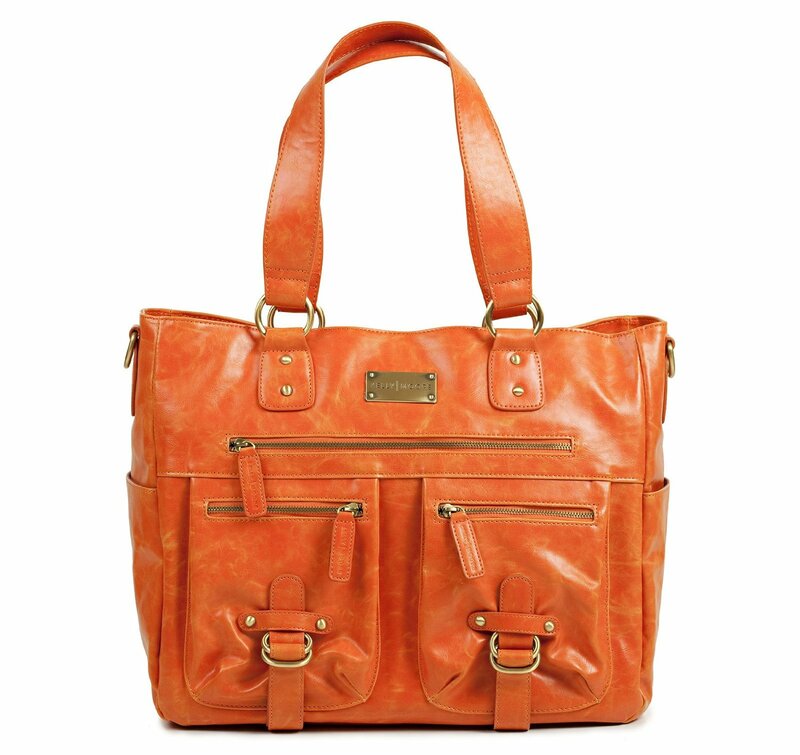 You will also have a bigger body that is more robust but you will absolutely LOVE it! 3. Are itching to play with Aperture? If you find yourself drooling over blurry backgrounds on Pinterest and wonder why your macaron images just don’t look as appetizing as the blogger next door, perhaps is because the aperture on your kit lens is severely limited. Most kit lenses only open to a maximum aperture of f/3.5 which isn’t enough to blur the background and separate your subject from the background. The answer to your problem is a lens with a wide maximum aperture. 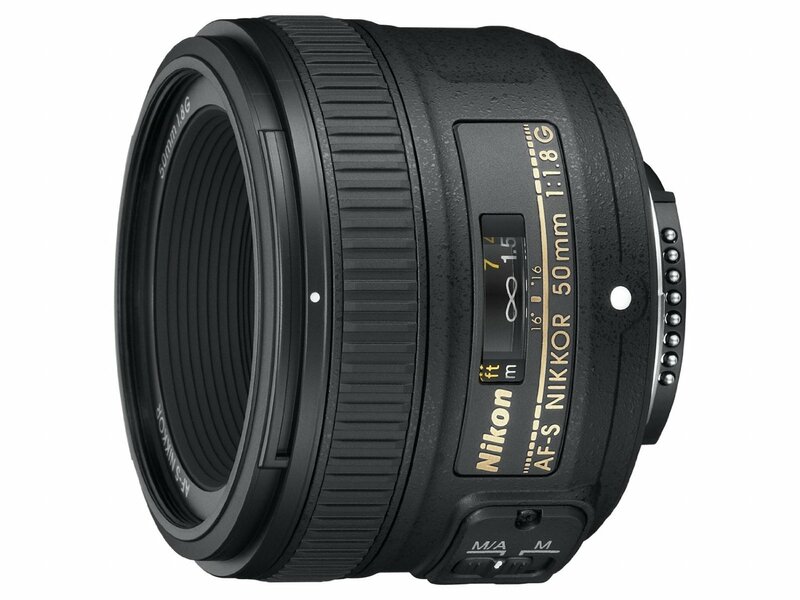 A great suggestion is the wonderful “Nifty 50 lens.” The little gem has a fixed focal length lens of 50mm which means its great for portraiture but can also open up wide to f/1.8. Which will absolutely render a beautiful bokeh (that creamy dreamy background your soul has been searching for.) It magically turns your boring, blah images into something you can be really proud of . And if you struggle with having low light a 50mm f/1.8 will be your BFF. 4. You need more Light PLEEEASE! If you struggle with low light in your home – and by “low” I mean you don’t have a blissful sunroom with light pouring in all day, maybe its time to up your game with an external flash. Yes, natural light is awesome but for many people its not possible or practical to get out and shoot outside all year round. The key thing with using a speedlight as opposed to the built-in flash on your camera, is that you have the ability to tilt the flash head towards the ceiling and bounce it off there to make a large soft light. This gives you the intensity of the flash without the harsh direct-on flash. 5. It’s time to get stylish! So I hope this will help you write some of your Santa list! If your nearest and dearest needs a little more guidance share this post with him on Facebook to give him a massive hint. And if its all up to you to buy a new camera, sign up here for my Free Online Workshop being held on November 18th all about Choosing the Right Camera for You! I’ll be answering any questions you might have on all aspects of camera shopping so you can comment below with your questions or ask me live on the night! January 6th at home in Ireland is called Nollaig na mBan or Women’s Christmas. It’s traditionally the last day of the festive season and one day for the women to finally put their feet up and take a rest. Ha! Not likely in this house! Here in the US the Christmas season only lasts one or two days and this year we even took our tree down on the day after Christmas day itself as we were headed out of town. Needless to say today, the holidays are truly over, despite me still finding pine needles everywhere (I guess Spring Cleaning has yet to begin in this house!) Our minds have instead turned to the New Year, new resolutions and new commitments to master new things. Now’s the time to finally figure out how to use that camera and polish up your photography skills! If improving your photography is something on your list for 2015 I’ve outlined my top 5 tips below on how to help you achieve this goal. 1. Take your camera out of the box! Seriously! Take your camera out and have it accessible in your daily life so that when the notion takes you, you can grab it and shoot. Charge the battery, stick on a lens and leave it somewhere convenient in your home. Better yet, get one of these cool camera purses and you’ll have no excuse not to take it everywhere you go and look cute to boot! 3. Read the Manual. I know you have one – it’s probably still sealed in the little plastic baggie in the bottom of the box. Throwaway the French/Spanish version and read a little of the Double Dutch version that came with your camera. If that doesn’t work, consider buying one of the appropriate Dummies for … Books which help to break your camera functions down into easy to understand language. The less intimidated you are by the thing, the more likely you are to become it’s friend. I promise you there is no self-destruct button on there so you really can’t do any damage (at least not on the new models…) If you are local to Atlanta and want to meet up to go over your camera functions get in touch and we can meet for my crash course session which will have you confident with your gear in no time. 4. Get out of Auto. Move away from that little green box or smiley face and play with all those other modes on that mode dial. Mr Canon wouldn’t have put that dial right up there on top if he didn’t want you to turn it, now would he? It’s only by taking control of the settings that you are ever going to improve. Spend some time learning what some of those numbers mean and what happens when you change this or that. There is oodles of info on all this stuff out there but if you would like to cut to the chase, check out my course for absolute beginners and my course for those who feel a little more confident and are truly ready to get of of auto. Hope to see you in the Group! Summer is here and photo opportunities are abound. And now is a great time to start learning how to capture those memories in the way that you experienced them. No longer be intimated by your fancy DSLR camera. No longer be stuck in the Green Box Setting afraid of changing it in case you do something wrong. 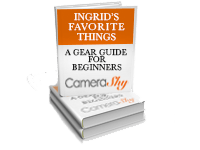 By taking my Demystify your DSLR course you can begin right away to learn all about your camera in a fun and relaxed way. Just 4 modules to consume at your leisure and lots and lots of practice. If you think you’d like to know more about my Demystify your DSLR course, then you can check out all the information here and get started today! As always, just let me know if you have any questions! It’s webinar time again! This year one of my resolutions is deliver more free training so I’m counting on you to hold me accountable for that! 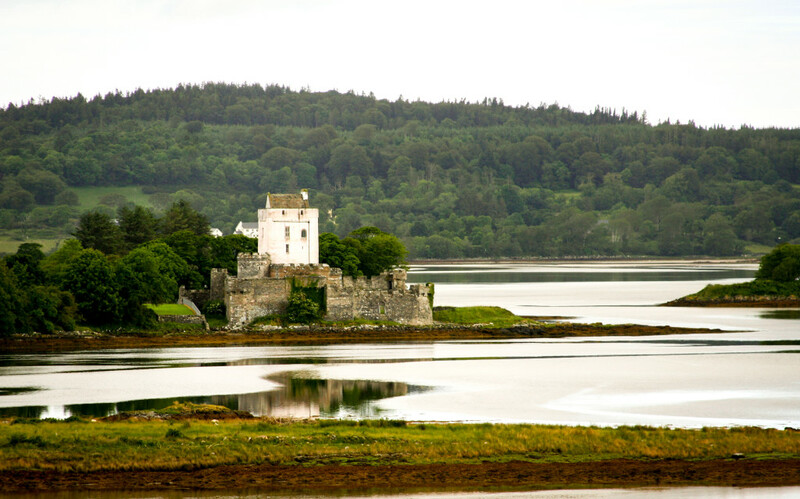 This month we’re taking about Easy Ways to take Better Photos with your DSLR. Join me on Tuesday January 14th at 8pm EST for a live session where you’ll learn a whole bunch a new stuff on using your fancy camera! The single most important thing that every photographer needs to know to make your photos go from blah to bravo! If you’ve never been on a webinar before or taken an online class this will be a great way to try it out. It’s also a lot of fun, I promise you will learn a lot and you don’t even have to leave your house 🙂 – Jammie wearing is encouraged. To see what all the fuss is about sign up and I’ll send you the information of how you can join me. Buying a DSLR ? Join me for a Free Training on how to Choose the Best one! 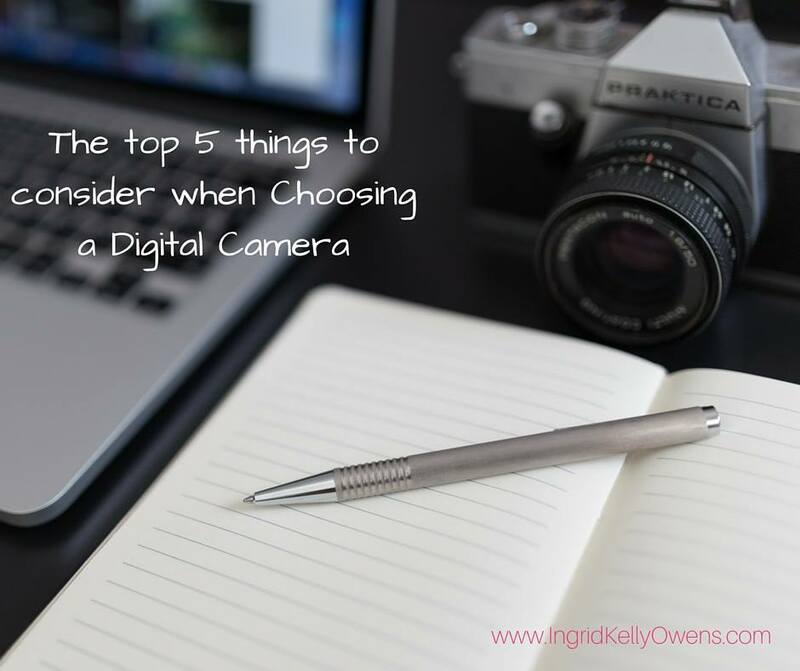 “Which camera should I buy? Should I go with Canon or Nikon? What’s this mirrorless all about? It’s going to be a lot of fun and a great opportunity to get any questions answered that you might have about new camera purchases or just to say Merry Christmas! And if your already having buyers remorse with something that you’ve purchased over the last few days let me know and I’ll give you my opinion on the 12th – still inside your return window! Here’s the link to grab yours – Check it out! Let me know if you have any questions about anything in there – I’d love to help you shop!